Princeton Architectural Press, 9781616897987, 72pp. The Bauhaus, the legendary school in Dessau, Germany, transformed architecture and design around the world. This book broke new ground when first published in 1991 by introducing psychoanalysis, geometry, early childhood education, and popular culture into the standard political history of the Bauhaus. The ABC's of Triangle, Square, Circle also introduced two young designers, Ellen Lupton and J. Abbott Miller, whose multidisciplinary approach changed the field of design writing and research. With a new preface by Lupton and Miller, this collection of visually and intellectually stimulating essays is a must-read for educators and students. "Edited by two renowned graphic designers, The ABC's of ?¿? lives up to its subject in its own design, which elegantly integrates copious drawings, photographs, and typographic samples." "From graphic design to psychoanalysis, childhood education and beyond, [the Bauhasu's] influence is undeniable. 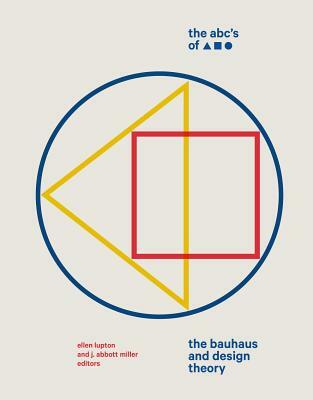 Along with typographical design, diagrams, symbols and various illustrations, [The ABCs of Triangle, Square, Circle: The Bauhaus and Design Theory] is a fascinating lesson in a wildly significant movement."